Hey everyone! You may have noticed that our stamps are appearing at a few of your favorite retail stores. We screen all inquiries and make sure they provide what our customers deserve, excellent service! We value our retailers greatly and today we decided to spotlight one of the very best of the best! Ellen Hutson, LLC is always looking to provide our customers with quality products, excellent customer service, and education and inspiration for each of the products we carry. Ellen Hutson is the owner and founder of this company. Art has been a love of Ellen’s from a very early age. 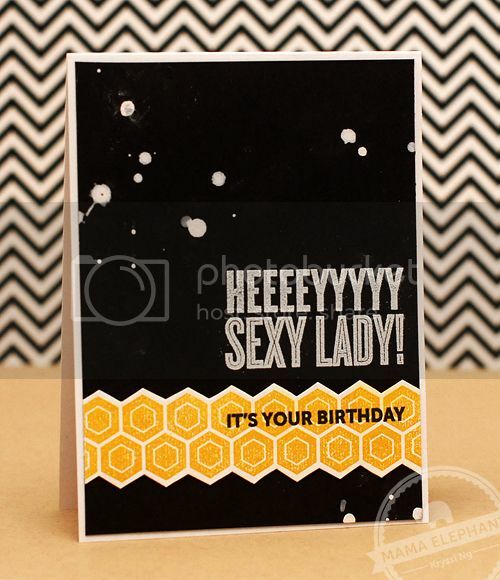 Since 2002, stamping, card making, scrapping and paper crafting have been her passion. At an early age Ellen began expressing herself artistically; enjoying art, photography and design classes throughout high school and college. Graduating from college with Bachelors of Arts and Science, after studying interior design and education, she began pursuing her dreams. The training and experience she received as an interior designer and teacher have greatly influenced her work in the paper arts - the design elements she learned in college have been key influences as she has switched from one art form to the next. She loves to experiment with different products, media and techniques, using rubber stamps to create cards, mini-scrapbooks, home decor and art pieces. Ellen’s passion for sharing creativity with others led to this web-store. She wants to not only provide others who are looking to express their creativity with the latest, quality products that she has fallen in love with, but with the education and inspiration to use those products. She wants to share her resources and creativity with others! With just a few email exchanges, I've made up my mind that Ellen is one of the nicest and kind hearted people in this world. Yup, just like that! You are pretty much guaranteed wonderful customer service that is bar none when shopping at Ellen Hutson. You can find our complete line of Mama Elephant stamps at Ellen Hutson, LLC! Oh and we have a little surprise over at The CLASSroom too, be sure to pop over to see it! yay!!! And what an awesome birthday card, I want one! hehehe! awwww.... you are soooo sweet, Kryssi!! =) amazing card and soooo happy to see Mama Elephant available in Ellen Hutson! it's one of my favorite stores to shop!!! =) Thank you for making my day, girl!